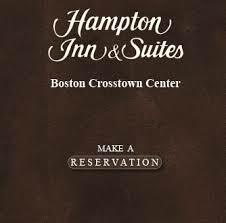 Boston’s only Hampton Inn & Suites is located next door to Boston Medical Center,and close to hospitals, colleges, universities and best of all, Boston Convention Center and Fenway Park. You’ll love our comfortable rooms, indoor pool, complimentary breakfast each morning, and a helpful Front Desk. Best of all is the new on-site restaurant, Roka, providing cutting edge food and a full service bar, with a personable staff in a relaxed atmosphere. The South End Business Alliance is a membership-based organization whose mission is to organize and unify the voice of SEBA members and to promote a positive business climate in the South End. As you know, our community is rich in diversity in terms of culture/arts, professional services, hospitality and retail establishments. We aim to maximize the visibility and success of all businesses who participate.